Aljo is currently one of the hosts, together with Veronica Baluyut-Jimenez, of One Morning shown simulcast on NBN 4, 9 and 13. He’s been doing the job since 2007. After his short stint with Radio Philippines Network as main host of Newswatch Aksiyon Balita, NBN got him to anchor Teledyaryo the Final Edition with Kathy San Gabriel and Cathy Vilar. 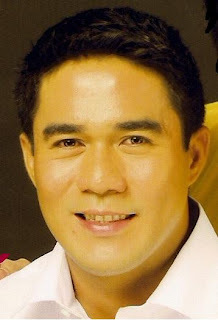 He is also into business owning 3 water purification and filtration system with 1 branch in his hometown Davao City. With his unwavering ambition to be more successful in life, he is currently in his second year taking up law at Arellano University School of Law hoping to extend legal assistance to future victims of injustices and abuses. Aljo is also into sports. A health buff, Aljo frequents the gym to maintain his physique. In fact, he’s currently into running. He even participated recently in the 5k fun run initiated by JAO Builders held at the Quirino Grandstand, Manila. Aljo is the current endorser of JAO Builders, a fast growing building contractor in the Philippines (visit their website at www.jaobuilders.com). He also endorses the finest suits of Boyet Fajardo, with branches at Landmark and Robinsons Department Store nationwide. Aljo would like to thank ABS-CBN for without it he would not be in Manila making it on the lists as one of the top respected broadcasters in the country today. He started out as poor boy ought to live a simple life back his beloved City of Davao but constrained to leave for Manila because of his love to serve his former mother network ABS-CBN and the public as well.